Comments: Davis (Nee: Fuqua) | Ranger GA United states | 1941-1960 | Comments: This is a picture of my grandpa and it appears to be his wedding day. 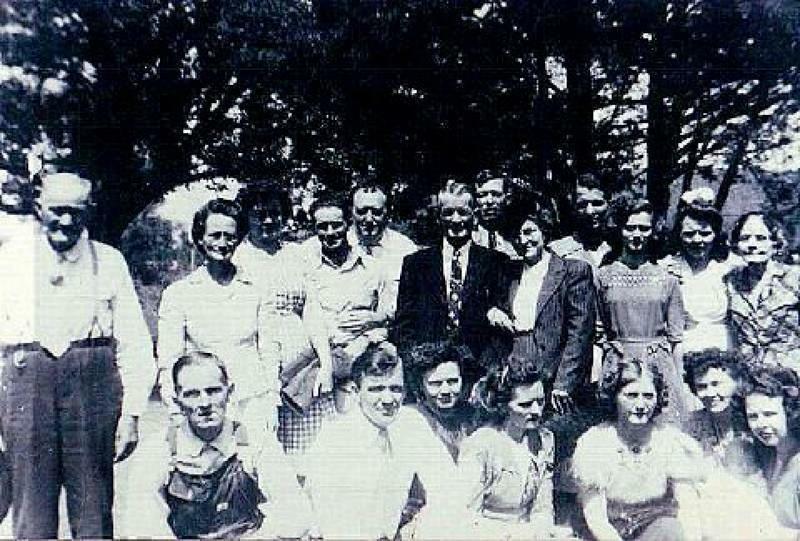 After his wife died, Charlie Henry Davis married Mary Fuqua, they are in the center with the suit and tie and Mary has a hat. The only others known are: Malcolm Davis and Edna Fuqua, Edna is next to Mary and Malcolm is on left behind Edna. Does anyone have any ideas as to the identies of the others?